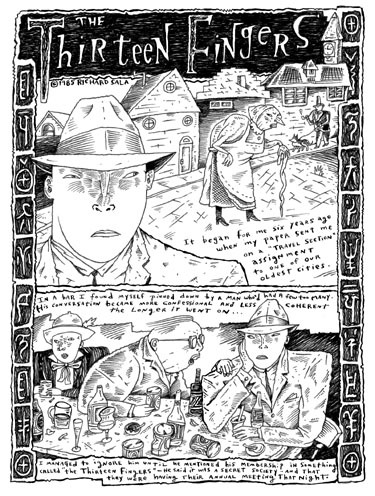 This is the art for the COMPLETE 1985 8-page strip, "The Thirteen Fingers", last published in Hypnotic Tales. Pen & ink on 8 sheets of 10"x13" bristol. Excellent condition. No paste-ons, no fading or browning, no chipping in the few areas of white-out (they made stronger stuff in those days! ).